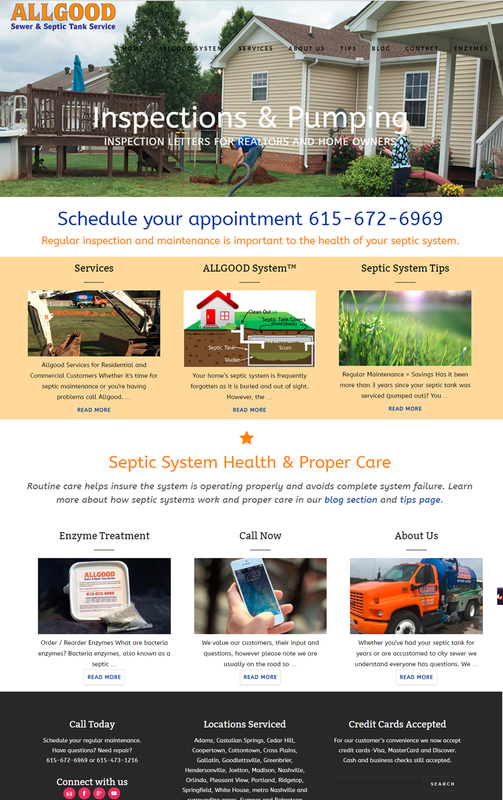 Allgood Sewer and Septic Tank Service has been in business for 10 years. They were using a one-page website that was offered for free. This template was not reflecting their professional image and they needed to include all their services offered. They also wanted to expand their visibility online by utilizing a blog and social media. A new design was created that showcased Allgood’s professional services, as well as providing a section about education in the form of a blog. They were also needing their overall brand to be updated and unified, including logo, invoices and business cards. As the company has grown, adding more services a brochure has also been custom designed specially to their needs.